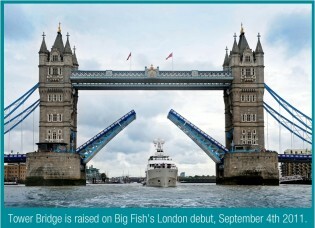 Superyacht BIG FISH in London – Superyachts News, Luxury Yachts, Charter & Yachts for Sale. The expedition (explorer) superyacht BIG FISH, the 45m (147′ 7″) yacht designed by Greg Marshall Design and launched by McMullen & Wing New Zealand in 2010 has recently visited London en route to the Monaco Yacht Show 2011. 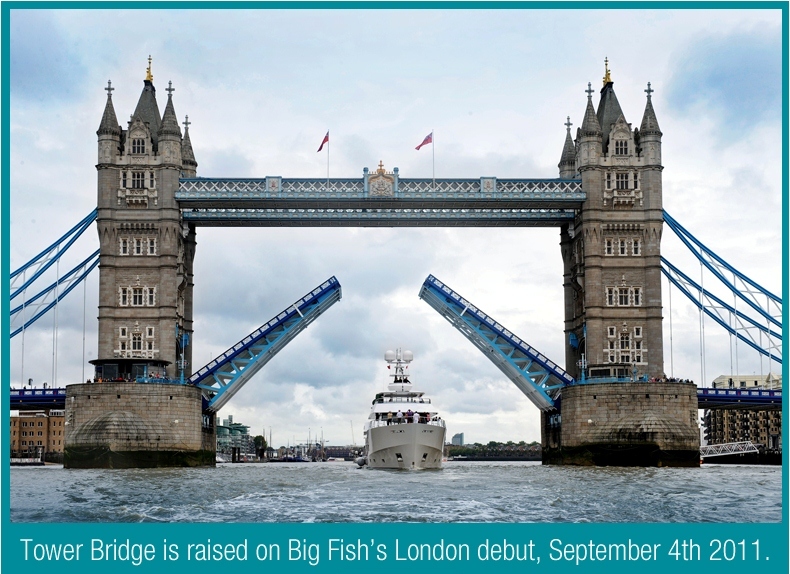 Motor Yacht BIG FISH is seen here cruising the Thames River, passing under the raised Tower Bridge.